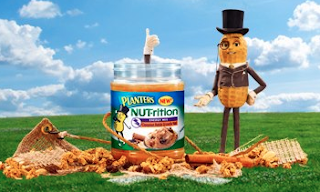 FREE Jar of Planter's NUT-rition Cinnamon Raisin Granola Peanut Butter! Hurry over to Planter's Facebook page to score a coupon good for a free jar of their NUT-rition Cinnamon Raisin Granola Peanut Butter! First 40,000 only. NOTE: Site is pretty slow, so you'll need to be patient.